The Donut Kitchen is a family-owned establishment with two locations in McKinney, TX (Stonebridge Ranch and the Historic Downtown District). We serve gourmet donuts, breakfast sandwiches kolaches, plus delicious lunches every day! Our lunch menu includes a variety of fresh sandwiches, wraps, salads, and homemade soups. Come in and enjoy our cozy atmosphere, friendly service, and family recipes. We promise to make you feel right at home! 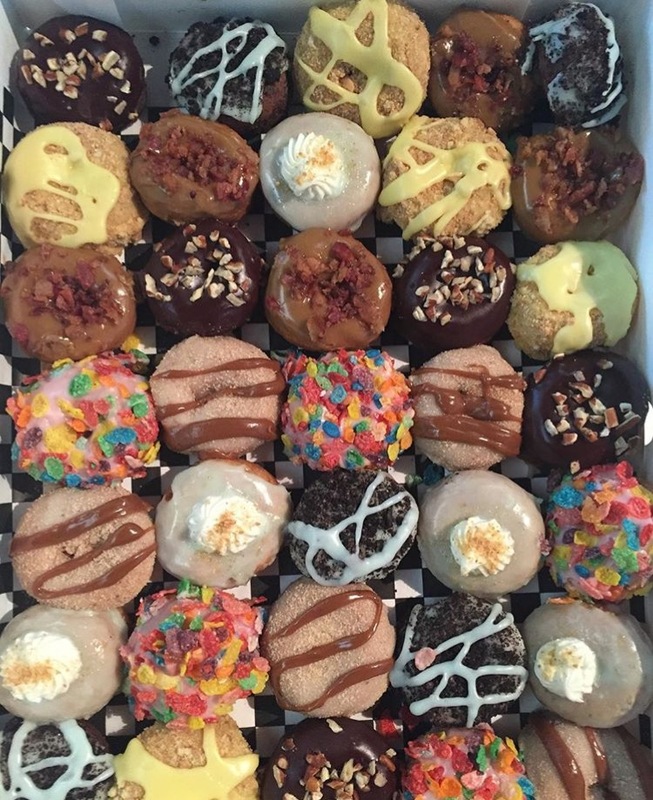 "The Donut Kitchen by far exceeded my expectations. The donuts were original, and the wide variety of choices was remarkable. You would have to be crazy to pass up this one of a kind restaurant. I will without a doubt be back, and I strongly recommend you do the same." -Jack C.
"Great atmosphere and LOVED my Texas sheet cake donut! We've been waiting for a good gourmet donut shop...so excited it's here!" -Liz A.
Smoked ham, roasted turkey, and swiss cheese panini pressed between 2 cake donuts topped w/ powdered sugar. Served w/ a side of raspberry glaze. Made from scratch pimento cheese on sourdough. Sandwiches served with pickles plus your choice of house potato chips or fresh fruit. Wraps served with pickles plus your choice of house potato chips or fresh fruit.